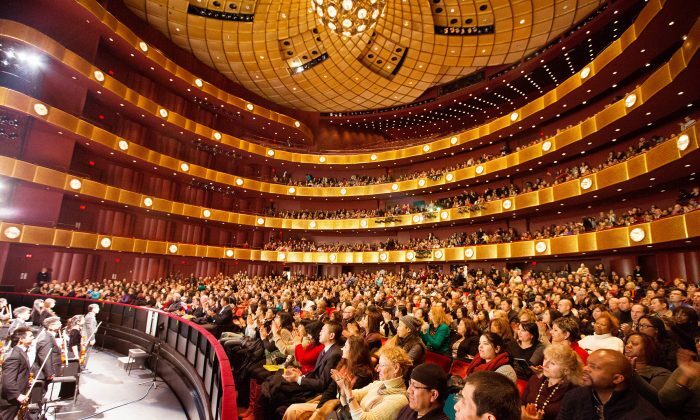 As eagerly as New Yorkers are awaiting the arrival of spring, they are also looking forward to the return of Shen Yun Performing Arts—the company that is responsible for spearheading the revival of China’s authentic traditional culture. After sold-out performances at the Lincoln Center in January, the New York-based company is back by popular demand for a second run at the same venue—March 2–13. The classical Chinese dance and music company is touring in over 100 cities this season. It seems I was going back to the Tang Dynasty, to the Golden Age. It was just so exquisite. Noted classical music composer Paul Warner was very impressed to learn that Shen Yun has four equally sized companies that tour the world simultaneously. “That’s a big, big thing [Shen Yun has] going. I was thrilled, it’s spectacular, beautiful, I’ve never seen anything like it in my life!” exclaimed Mr. Warner after attending the performance in Escondido, California, on Jan. 27, this year. This year, Shen Yun celebrates 10 years since it was founded. Among audiences that have enjoyed the performance in various cities around the world, many prominent members of the community and artists have praised the company for the unparalleled experiences it provides. A Shen Yun performance features the world’s foremost classically trained dancers, supported by a Western orchestra that incorporates traditional Chinese instruments such as the erhu and the pipa. Ms. Wefer saw a performance in April 2013, and spoke of the erhu virtuoso, Xiaochun Qi, who played in front of a full house at Lincoln Center’s David H. Koch Theater. The erhu, sometimes called the Chinese violin, is a nearly 4,000-year-old instrument. Despite having only two strings, the erhu is known for its expressiveness, being able to mimic human vocal chords. The incredibly nuanced performance of an erhu virtuoso has been among one of the most touching musical experiences even for Western audience members hearing it for the first time. “I can get a sense of antiquity but also a dynamic sense of possibility from it. 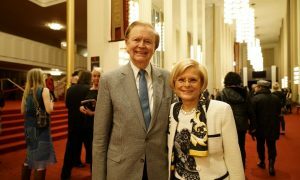 There is a sense of something very old but also something emerging and beautiful,” said classical pianist Anne Vollink referring to the performance in general, after attending Shen Yun on Dec. 24, 2015, in Houston. Audience members said they leave the theater feeling joy and happiness, but this is not to say that the performance simply glosses over the dramatic events of China’s history—either ancient or current. A newly ascended emperor fights to defend his birthright. A husband and wife are separated because of a force of evil. Spiritual beliefs are nearly quashed under a communist regime. Sometimes these stories are tearjerkers, and other times they fill the auditorium with laughter. Either way, audience members find them to be filled with meaning. Gary Stephenson, who attended a performance in Baltimore on Feb. 9, had a lot to say about the narratives showing courage in the face of oppression. Mr. Stephenson was dismayed to find out that Chinese people in the mainland cannot see a performance by Shen Yun. The very existence of Shen Yun performing Arts is due to a need for the revival of China’s traditional culture. Audience members describe this realization as a sense of clarity, after seeing the performance. This is particularly powerful for Chinese people who now live overseas after fleeing the oppression of the communist regime. Many have grown up indoctrinated with the idea that being patriotic is equivalent to belief in the Communist Party above any other belief. Since the communist regime came to rule China in 1949, it has killed more than both world wars combined. But beyond the physical terror it has inflicted on its own people, the regime has sought to destroy all moral and spiritual principles that have guided the Chinese people over the millenia. Throughout its 5,000-year-old history, none of the dynasties that ruled China had sought to completely destroy spiritual belief, a reverence for the divine, or respect for one’s family and ancestral legacy. Case in point—when the Manchu, an ethnic minority came to rule over the estimated 150 million Chinese as the last of China’s dynasties—the Qing (1644–1911)—they adopted the Chinese ways of government, complete with political ideology and moral values derived from Confucianism that prevailed during the deposed Ming Dynasty. The Manchu excelled at martial arts and horsemanship and were generally a dynamic lot who were used to tighter fitting clothes, riding boots, and pony tails. They imposed these on the Chinese people but kept the symbols of rule, such as the golden dragon, so the Qing imperial robes combined Chinese elegance with the robust, barbaric splendor of the Manchu. Among Shen Yun’s dances are many that depict the cultures of its many ethnicities and dynasties, such as the the great Tang Dynasty, the Qing Dynasty, and many others. This year, in the dance “Manchurian Maidens,” elegant ladies of the Manchurian royal palace dance in raised “flower pot” shoes and wide, elaborate headdresses. As Shen Yun continues to inspire audience members worldwide, it is becoming clear that this culture transcends boundaries of all sorts and requires no prior knowledge of Chinese history, because it goes straight to the heart. “It was the most amazing experience of my life. Absolutely,” said Tom Paino, a chemist who works for the U.S. government. He felt absolutely uplifted, and said it was as if the divine had manifested as human beings right before his eyes. 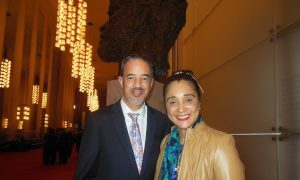 Then he saw Shen Yun, and “I just felt like now there is hope. … There’s hope for each of us individually as well as for all of us collectively. I just feel so inspired. It’s beyond words. 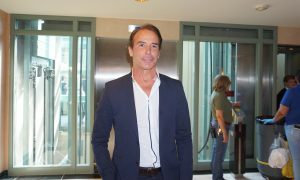 I can’t describe it,” Mr. Paino said. 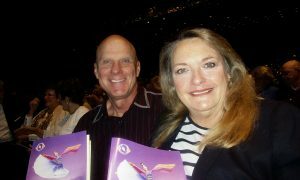 Others who tried to make it to Shen Yun for years, made sure that finally, this season, they wouldn’t miss it. Sathsowi Thay Koroghli and her mother missed last year’s Shen Yun performance in Las Vegas because it was sold out, so they bought 100 tickets and treated their friends and family to the show. Ms. Sathsowi Thay Koroghli (her friends call her Susie) is the daughter of a Cambodian princess and granddaughter of King Sisowath Monivong. 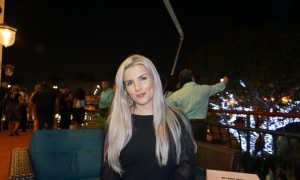 “Beautiful, it was very beautiful, inspirational,” she said after seeing the performance on Jan. 23 . “We’re really glad that we did this! It touched something in me also, because no matter what religion you are, it’s about being kind and opening up your mind to learning just to have a nice wisdom about life,” said Ms. Sathsowi Thay Koroghli. 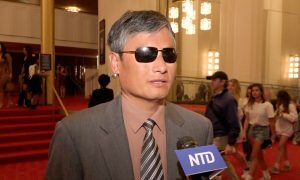 Compared to the Cambodian royal family, Paul Solomon may have had better luck, having easily seen Shen Yun twice. He saw it in 2015, and then attended the opening night performance this year on Jan. 14 at the David H. Koch Theater as well. “It’s important to preserve heritage. It’s amazing. I had no clue there were 5,000 years of such beautiful history,” said Mr. Solomon. The first time he attended the performance he brought his two children, one 8 and the other 11, and the two greatly enjoyed it as well. Mr. Solomon, a musician for the Forest Hills Symphony Orchestra, enjoyed the music of the performance so much that he immediately purchased the orchestra CD and now regularly listens to Shen Yun’s compositions while driving. “The whole show was precision, beauty, mystery, magic. 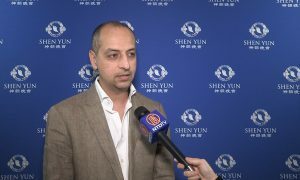 It was just unbelievable,” said Mr. Solomon, encapsulating the sentiments of countless audience members who have been touched by the artistry of Shen Yun throughout the last decade, and will no doubt be in the future.